Many may think of Disney World or Miami when it comes to Florida, but the Sunshine State has plenty of unique weekend retreats. Florida has hidden fishing villages and quaint, quiet towns filled with antique shops and boutiques. Whether you are looking for nature trails, fishing trips, or a few rounds of golf, a trip to Florida has many activities to offer. 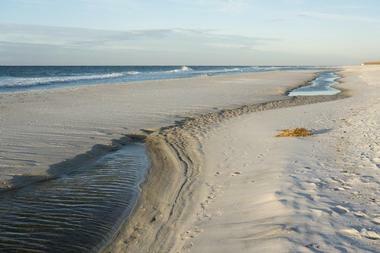 Amelia Island attracts travelers looking for a quiet beach getaway in a laid-back atmosphere. The island sits at the southernmost part of the Sea Islands, an island chain just off the northeast coast of Florida. During a stay, tourists can soak in the sun on the island’s 13 miles of beaches or tee off at one of the island’s six golf courses. Amelia Island’s Fernandina Beach has a mobile phone guided walking tour through its historic sites. 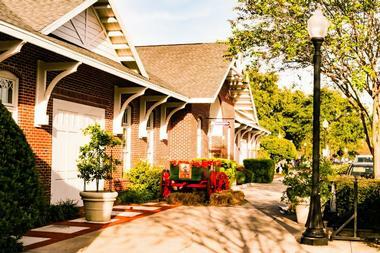 Visitors can explore the town’s welcoming community full of shops and restaurants. Here, guests can sip cocktails at Florida’s oldest continuously operating bar, The Palace Saloon, which first opened its doors in 1903. Situated 25 miles from Fort Meyers, Sanibel Island gives guests a chance to relax and unwind whiles enjoying beaches, dining on seafood, or exploring the lush local ecosystem. Surfers and sailors tend to hang out at Sanibel’s most popular beach, Bowman’s. Meanwhile, visitors can collect shells and other natural treasures over at the more secluded Blind Pass Beach. The Darling National Wildlife Refuge houses hundreds of different wildlife species including crocodiles, giant manatees, and lots of birds. Tourists can also spend the morning kayaking and canoeing through the mangrove-lined waterways or rent bikes for the day to get around. Time slows down in this historic town situated in the northwest of the state in Florida’s panhandle. During a stay, visitors can relax and unwind while enjoying the perfect romantic weekend getaway. Called “Apalach” by the locals, Apalachicola was first established in 1831. At the height of its day, it represented the third largest port in the Gulf of Mexico. The city’s seafaring history remains a big part of the culture, and during a visit, tourists can check out the Cape St. George Lighthouse or explore the Maritime Museum. Hundreds of historic buildings from the nineteenth and twentieth centuries give Apalachicola its charm especially during an evening stroll at sunset. The small affluent community of Boca Grande sits on Gasparilla Island in southwest Florida overlooking the Gulf of Mexico. Boca Grande offers plenty of weekend water activities including swimming, sailing, snorkeling, and fishing. 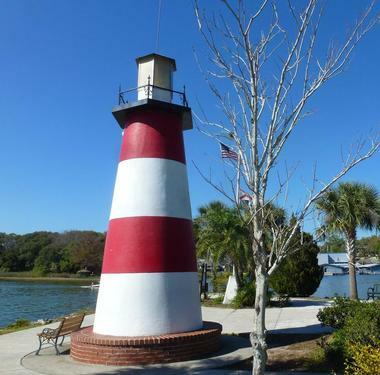 Gasparilla Island State Park houses the restored Port Boca Grande Lighthouse built in 1890. Tourists can easily get around by bicycle or golf cart, and the island also hosts its own bike trail for a chance to take in scenic views of beaches and wildlife. Visitors can also jump on a boat to access Cayo Costa State Park, a nearby nine-mile island filled with gorgeous beaches and acres of pine trees. Just an hour north of Tampa sits Brooksville, Florida. Weekenders looking for an escape can visit the local parks, historic hideaways, and museums at this charming town in the Sunshine State. Lovers of the great outdoors can spend time in Brookville’s Withlacoochee State Forest, a large park perfect for hiking, biking, horseback riding, fishing, and camping. Golfers can tee off at one of several courses including the 36-hole World Woods course. Meanwhile, the historic Hernando Heritage Museum showcases over 10,000 vintage medical devices, antiques, and artifacts including from the Civil War and Vietnam War, but may also house the ghost of Jessie May. Cedar Key harkens back to the days when Florida still remained a remote place filled with salt marshes and outposts. Stilted houses and cedar trees give this charming village a backwoods feel with laid-back vibes. The island preserves what Key West must have looked like back when Ernest Hemingway lived there. The charming village of Cedar Key offers a memorable weekend getaway. Guests can spend their mini vacation sipping wine washing down fresh seafood while watching candy colored sunsets. At night, the locals gather at L & M Bar to mingle over a few drinks. Visitors can also check out the Cedar Key Lighthouse, the oldest standing lighthouse on the west coast of Florida. Winter doesn’t have to be cold in Christmas. This sleepy Florida town between Orlando and Cape Canaveral has a little over 1,200 occupants making it ideal for a quiet warm weekend getaway in the wintertime. At the Fort Christmas Historical Park, visitors can explore a replica of the fort with demonstrations of pioneer life from when early settlers arrived in the area during the 1830s. The Orlando Wetlands Park showcases the beauty of the wetlands and its wildlife with places for hiking, biking, and walking. The quirky town of Christmas also houses the world’s largest alligator-shaped building. Tourists can spot a real gator during one of the many airport adventure tours. Situated along the coast in western Florida, Crystal River has ample opportunities to experience the outdoors and see the state’s famous manatees. During a visit, tourists can watch the gentle giants float by at Three Sisters Springs or the Crystal River National Wildlife Refuge. Beach lovers can work on their tan at Hunter Springs Park featuring natural springs, cozy beaches, and places for kayaking. Meanwhile, Crystal River Archaeological State Park contains remnants of the country’s earliest human settlement including prehistoric burial grounds and ritual sites. Nearby state parks offer plenty of chances to go for long walks and see local birds, reptiles, and other animals. Tourists can spend the weekend at Dade City perusing through antique stores and appreciating local historic architecture. Every year in late January, this Florida city near Tampa Bay hosts the Kumquat Festival where attendees can enjoy edibles like marmalades and pies made with the tart citrus fruit. Weekenders who can’t make the festival will have no shortage of places to dine in Dade City. The town has everything from local cuisines like soul and seafood to barbeque restaurants. Wildlife refuges like Dade City's Wild Things or the Giraffe Ranch bring visitors up close and personal to baby tigers, monkeys, and other safari animals. Destin offers the quintessential Florida weekend getaway with plenty of seafood, sandy beaches, and candy colored sunsets. Situated in northwest of Florida, Destin has no shortage of places to soak up the sun. The city has earned the nickname of the "world’s luckiest fishing village", and during a visit, guests can enjoy all varieties of fishing including deep sea and bay fishing. A trip to Destin wouldn’t be complete without a taste of the freshly caught fish while watching the sun go down. A weekend at this city will include lots of beach time with swimming and snorkeling in the emerald-hued waters of the Gulf of Mexico. Located on Florida’s Gulf Coast, Dunedin promises lots of outdoor activities for a winter weekend getaway. This Florida village has laid-back vibes with an active downtown, lush parks, and fun activities for all ages. Nature lovers can head to Honeymoon Island State Park to explore its beaches and pine forests or spot a few ospreys. Hammock Park in downtown Dunedin houses owls, woodpeckers, and a butterfly garden. Dunedin also represents one of the oldest towns on the West Coast of Florida and was once a bustling port welcoming schooners from around the world. It’s Scottish heritage still influences local culture, and each year the town hosts the Dunedin Highland Games & Festival. Nicknamed the Sunrise City, Fort Pierce forms part of the Treasure Coast region on the Atlantic Coast of Florida. The National Navy SEAL Museum sits on the training grounds of the original combat divers and showcases exhibitions dedicated to the history of the United States Navy SEALs. No winter vacation to Florida would be complete without a visit to the beach, and Fort Pierce has become a popular place for surfers and swimmers on its shores. 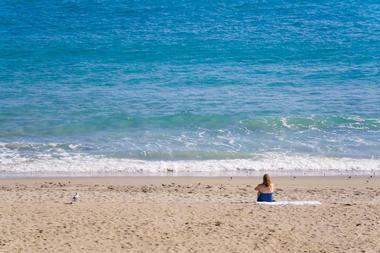 Visitors can also go fishing and snorkeling at the nearby Hutchinson Island. 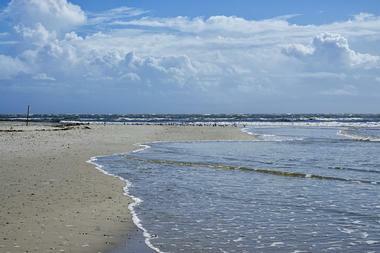 Fort Pierce Inlet State Park provide a place for even more beach recreation and bird watching, too. Down in the Florida Keys, the village of Islamorada offers an outstanding winter escape that includes dolphin encounters, coral diving, and gorgeous hiking trails. Whether looking for a romantic getaway in the sun or somewhere nice to bring the kids, a weekend at Islamorada has plenty of activities for everyone. The Theater of the Sea houses all sorts of adorable marine animals such as Atlantic bottlenose dolphins, California sea lions, sting rays, and sea turtles. The Windley Key Fossil Reef showcases hidden treasures in its historic quarry filled with fossilized coral. 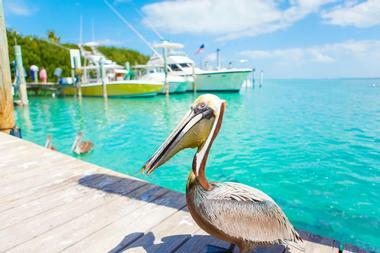 Islamorada’s fine dining and seafood joints will feed empty stomachs throughout the visit. Travelers looking for a quiet winter getaway can head to the old fishing village of Matlacha in southwest Florida. Pronounced Mat-La-Shay, the town’s name means “Big Warrior” in Seminole. The waterfront community has a population of just around 800 people made up of artisans and fisherman. 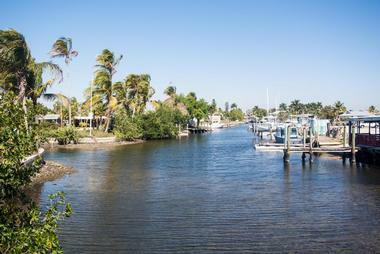 Unlike some of the more developed parts of Florida, Matlacha maintains its small-town feel. Guests can stay in quaint bed-and-breakfasts or inns. Despite its size, the Matlacha still hosts lots of delicious places to eat serving up fresh, flakey fish. Visitors can walk through town to explore art galleries, island boutiques, and colorful Floridian cottages. Nicknamed “The Town that Time Forgot”, Micanopy preserves the appeal of small-town America. Vacationers looking for a quiet weekend can head to Micanopy for a chance to stroll through its historic downtown while shopping for antiques. Visitors shouldn’t miss the Paynes Prairie State Preserve, housing herds of wild horses and bison along with nearly 300 species of birds. 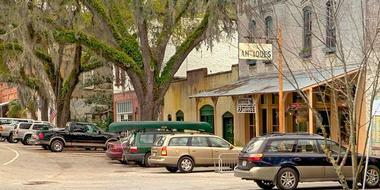 Located south of Gainesville, Micanopy has a modest population of just over 600. Spanish moss hanging from large Oak trees add to the enchanting beauty of this picturesque southern town. Perhaps that’s why two major motion pictures, Cross Creek(1983) and Doc Hollywood (1991), were filmed here. Situated in central Florida, Mount Dora attracts tourists to its scenic lake views, antique shops, and plethora of outdoor activities. The city sits on Lake Dora, a part of the Harris Chain of Lakes which offers some of the country’s best bass fishing. The lakefront Gilbert Park has playgrounds for children to play and picnic pavilions to host an outdoor barbeque. Visitors can explore the park’s trails, boardwalk, and fishing pier. Meanwhile, The Mount Dora Museum of Speed shows off an impressive collection of vintage cars and auto memorabilia that even includes a full replica of a 1940s gas station. Anna Maria Island provides the perfect weekend beach vacation with its turquoise waters and wide, white-sand beaches. Looking off into the horizon, visitors might catch a few bottlenose dolphins and manatees swimming or a bald Eagle soaring overhead. Colorful sunsets light up the skies before dark. In the evening, visitors can treat themselves to fresh seafood on the island’s restaurants overlooking the water. 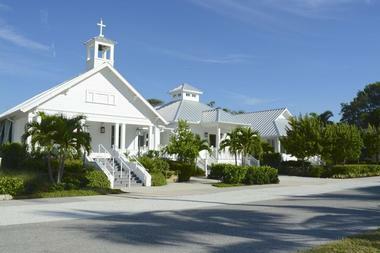 With Tampa just to the north, Anna Maria Island sits just off the west coast of Florida by the Gulf of Mexico. The 7-mile strip divides into three cities: Anna Maria Beach, Holmes Beach, and Bradenton Beach. Visitors in for the weekend can explore Santa Rosa Beach to appreciate its gorgeous natural landscapes and historical buildings. In fact, Travel + Leisure Magazine listed Santa Rosa Beach in its Top 5 Favorite Towns in America. It comes as no surprise considering the town’s cozy cottages, rich history, and sandy beaches. For a break from the sun, travelers can meander through town for some window shopping or get a bite to eat at one of the many restaurants. Eden Gardens State Park displays colorful flower gardens and a preserved two-story mansion built in 1895. This charming southern town has everything from beaches and shopping to music festivals. Sebring, Florida caters to all vacationers, whether looking to live life in the fast lane or slow things down for the weekend. Speedsters can check out the Sebring International Raceway, the oldest racetrack in the United States. Sebring also houses the Pinecrest Golf Course which served as the location for the first televised PGA tournament. For a quieter weekend, tourists can relax at the spa, enjoy a nice meal, or browse the range of boutiques and art galleries. The nearby Lake Jackson has places for freshwater fishing. Visitors can also get their creative juices flowing at the Highlands Art League Inc to view exhibitions or take a class. Located on the northeast coast of Florida, St. Augustine has no shortage of historical sites. 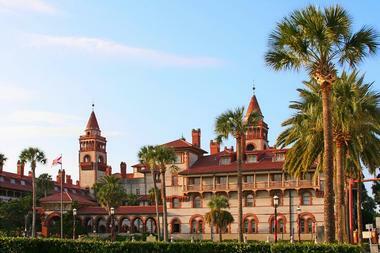 History buffs will love St. Augustine, the oldest city in the United States. Spanish colonists first founded St. Augustine in 1565. Visitors can explore places where pirates used to dock, discover the country’s oldest masonry fort, or admire the cobblestone streets of the city’s historic district. Nature lovers should spend a day at Anastasia State Park, boasting lush wildlife and flourishing ecosystems complete with beaches, tidal marshes, and nature trails. 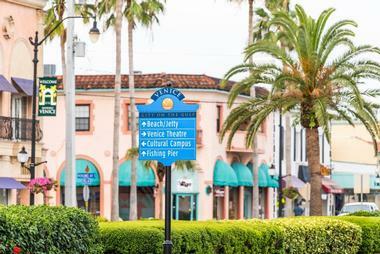 Downtown St. Augustine has lots to do with its unique shops, top-rated restaurants, and bars. Often called St. Pete by the locals, St. Petersburg sits along the glimmering Gulf of Mexico, and a visit wouldn’t be complete without a trip to one of its many nearby beaches. The city’s world-class Salvador Dali Museum houses a large collection by the Spanish Surrealist artist in a unique building constructed of 900 glass panels. Visitors can experience the great outdoors at Fort De Soto Park which contains beaches, nature trails, and a historic fort. For more natural beauty, the Sunken Gardens houses thousands of plants and a butterfly house. 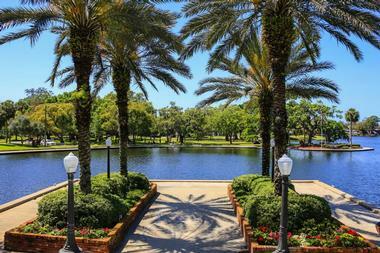 Guests in town for the weekend can also enjoy golfing, boating, and fishing at St. Petersburg. Travelers looking for a fishing adventure should definitely put Stuart on their list of winter weekend getaways. Nicknamed the “Sailfish Capital of the World", Stuart hosts some of the best inshore fishing in the world. Guests can join a fishing charter for a chance to snag some sailfish, mahi-mahi, snapper, kingfish, seabass, and more. 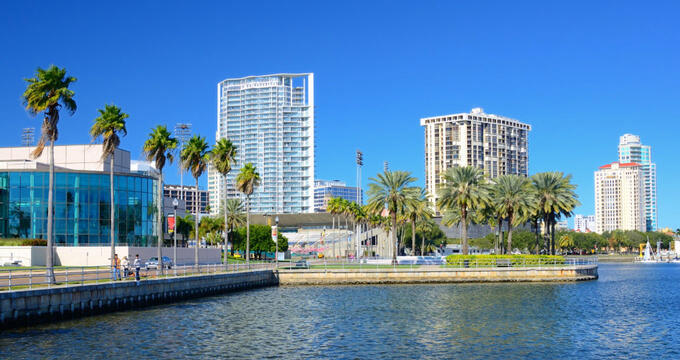 For those who prefer to stay on land, Stuart has plenty to do downtown like restaurants, art galleries, music venues, and shopping. The city sits on the most bio-diverse lagoon in the northern hemisphere, and House Beautiful Magazine even named it the Most Beautiful City in America in 2008. Situated on central Florida’s Gulf Coast just 40 minutes north of St. Petersburg, Tarpon Springs grew around the sponge industry. Today, tourists can walk along Dodecanese Boulevard to see the sponge docks with boats and shops selling natural sponges. Charming buildings constructed in the 1800s and listed on the National Register of Historic Places still stand downtown. Beaches in Fred Howard Park or Sunset Beach in Tarpon Springs offer an outstanding place to soak up the sun, rent kayaks, or go for a swim. The city also boasts a large Greek community, and visitors in town will have their pick of delicious Mediterranean cuisine. Venice, Florida sits on the Golf Coast of the Sunshine State. It has been named one of the “happiest seaside towns in America” making it the perfect way to warm up in the wintertime. The historic town of Venice has an Old Florida vibe, and visitors can experience the town’s history at the Venice Museum & Archives featuring artifacts and old pictures. Its coastal location means guests can enjoy all sorts of water activities including fishing, surfing, swimming, and snorkeling. Divers can also check out the coral reef dive site. Shark teeth often wash up onshore of Venice Beach which make the perfect souvenir from the weekend. Not far from Orlando, Winter Park, Florida offers a quiet weekend respite with plenty of cultural activities and stunning botanical gardens. Art lovers can view the largest collection of works by American artist, Louis Comfort Tiffany, at the Charles Hosmer Morse Museum of American Art. The Albin Polasek Museum showcases impressive sculptures housed inside a historical restored mansion. In the Leu Gardens, tourists can view gorgeous gardens grown on a 50-acre property. Meanwhile, a scenic boat ride will give incredible views of the area’s natural flora and fauna. 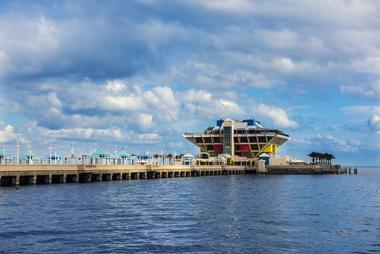 Winter Park also has the Orlando Science Center, an educational experience for the whole family.